John J. Cloherty III - Massachusetts and Rhode Island Litigation Attorney - Pierce Davis & Perritano LLP. John J. Cloherty III is a Partner at Pierce Davis & Perritano LLP. His practice is focused on litigation and trial advocacy in defense of individuals, corporations, and governmental subdivisions and agencies in federal court and in the state courts in Massachusetts and Rhode Island. Mr. Cloherty represents public and private employers in defense of charges of discrimination before the Massachusetts Commission Against Discrimination. He is also a frequent lecturer for Continuing Legal Education seminars for fellow lawyers as well as for client seminars. 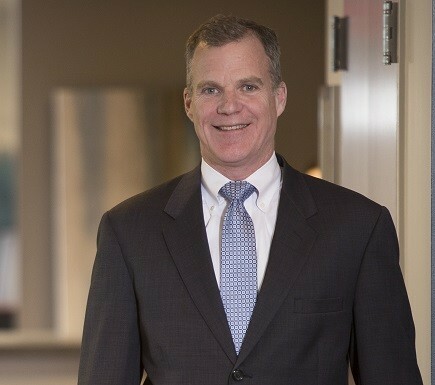 Mr. Cloherty has represented numerous individuals, corporations, municipalities, schools and school districts, and other governmental agencies in defense of negligence, motor vehicle torts, products liability, premises liability, negligent security, medical malpractice, civil rights, discrimination, zoning and licensing disputes, and intentional tort claims. He has represented individuals and public employers under the Civil Rights laws of the United States and Massachusetts and Rhode Island, as well as the state and federal anti-discrimination laws. His trial experience includes diverse cases such as First Amendment claims, police misconduct, motor vehicle torts, breach of contract claims, property nuisance, accounting malpractice, and employment discrimination. Mr. Cloherty also has experience representing individual property owners and municipalities in claims brought under the Federal Telecommunications Act (TCA) concerning the permitting, site selection, and construction of cellular communications towers. Mr. Cloherty has defended product manufacturers in claims of liability alleging defective construction equipment and truck campers. Mr. Cloherty has an active practice representing elevator maintenance and installation companies in personal injury lawsuits. He has also represented higher education institutions in tort, contract, and employment claims. Prior to joining the firm, Mr. Cloherty served as an Assistant Corporation Counsel for the City of Boston for three years. He also garnered substantial trial experience in criminal law while serving as a Rhode Island State Assistant Public Defender for two years. Attorney Cloherty began his legal career as a law clerk for the Honorable Donald F. Shea of the Rhode Island Supreme Court. Prior to law school, Mr. Cloherty gained business experience as a Trust Accountant at a large Boston bank. He also served as an officer in the U.S. Army, obtaining the rank of Captain and achieving distinctions of Airborne and Ranger qualifications.